Hey y’all, happy Monday! I’m gonna be swamped today and tomorrow with stuff, so I doubt I’ll be able to post the news until Wednesday (sorry! 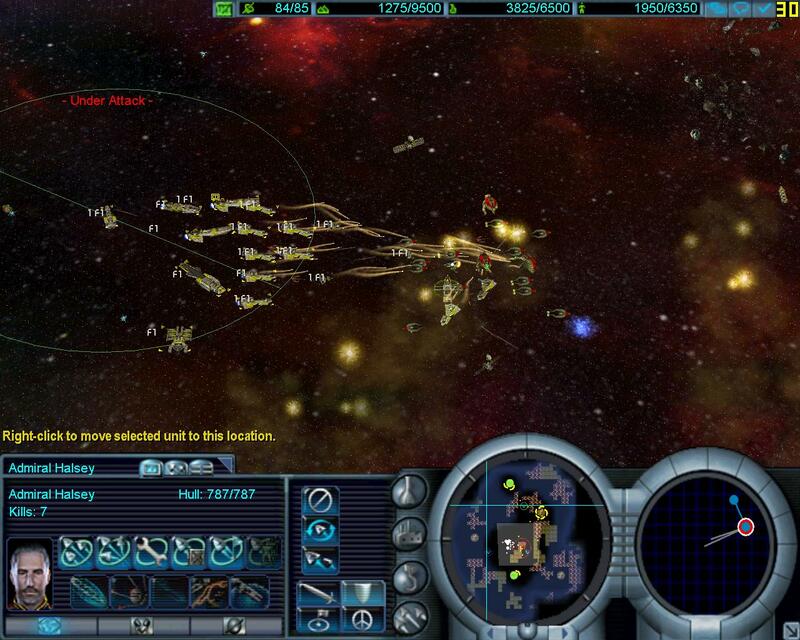 ), but I wanted to chime in and let’cha all know that the AMAZING spacey real-time strategy games, Conquest: Frontier Wars, is on sale today on GoG for 50% off, or $2.39. I purchased this game back in the day for maybe twenty times that amount, still have the disk, and repurchased it on GoG because it’s so awesome. Seriously folks, if you don’t have this one, get it, even if it’s just for the amazing soundtrack. It’s worth your time and money. ;) Thanks for reading, and enjoy! My real name is in the Special Thanks section of the credits of this game! OMG awesome! Were you a tester for it or something? No, but a friend of mine was a programmer on the game and I got to play some early builds of Conquest, Freelancer and Loose Cannon while visiting Digital Anvil. I also met Chris and Eric “Wingman” Peterson. Good guys. I played this once at a LAN party, it lasted for 14 hours and we only lost one person….sadly it was two hours in and the person played a SP for the other 12. Thanks for the heads up on this Brian! Welcome to the comments kayden3, and that’s awesome! I’ve never played it MP, but I LOVE playing single player skirmishes. Next story SGJ Podcast #16: Pirates, Pauls and Squirrels Oh My!